May 16, 2017 — ARDA (American Resort Development Association) recently held its annual meeting in New Orleans, culminating with the presentation of industry awards. One of the most coveted for an independently owned and developed US resort, is the Circle of Excellence Award (ACE). “The ACE Domestic Project of Excellence Award recognizes a timeshare or mixed-use resort built within the United States which is considered the best of the best; taking into consideration, design, sustainability, impact on local community, sales and marketing and its day-to-day operations”. More than ten years in the making, Riverwalk Resort at Loon was presented this award at the final banquet on March 29, 2017. 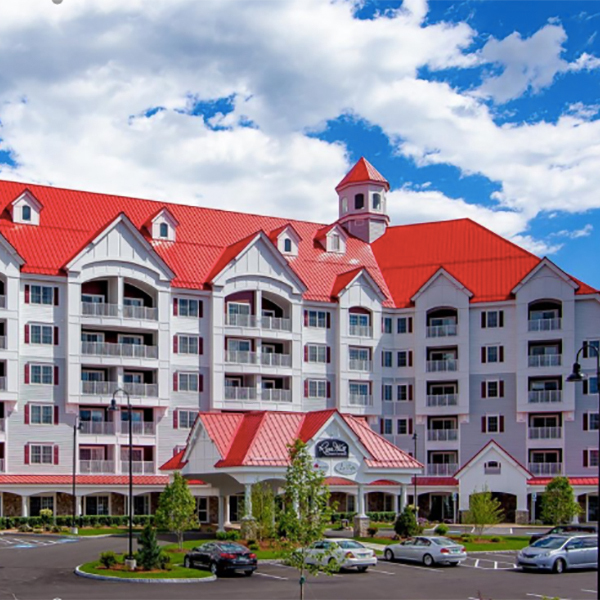 RiverWalk Resort at Loon and Developer Dennis Ducharme were nominated by one of their business partners; RCI. RCI is the leading provider of exchange vacations, offering the world’s largest vacation exchange network and providing unrivaled products and services to enhance the vacation ownership experience, through approximately 4,300 affiliated resorts in more than 100 countries. “Receiving this award is a great compliment,” says Ducharme. “I was honored to accept this award on behalf of the team that has worked so hard to bring this vision to reality. ARDA has essentially recognized 10 years of work, from demolishing and remediating the Franconia Mill property, to the design and engineering and the actual construction of RiverWalk. I can’t tell you how many people were involved, but each one shared the extraordinary vision, so I share this with every one of them”. In addition to developing this extraordinary resort, Dennis is also the President of InnSeason Resorts, a collection of vacation ownership resorts throughout New England, which he has run for more than 25 years with, his partner, William E. “Billy” Curran, its CEO.